Archeio uses machine learning, cloud computing, and smart search technologies to help energy companies access oilfield data more efficiently. DALLAS--(BUSINESS WIRE)--Today, Archeio Technologies unveils oil & gas software innovation after a year of product development, in which time the Dallas-based startup raised approximately $1 million of funding and inked contracts with leading energy companies. Using next-generation technologies like machine learning and cloud computing, Archeio has developed a new way for oil & gas operators to intelligently search, manage, and analyze vast amounts of oilfield data. The company’s software is already being used to manage data for thousands of wells across North America for private and publically held operating companies, including Parsley Energy (NYSE: PE). Much like searching with Google, Archeio’s smart search technology enables energy professionals to easily find relevant oilfield information using any device, such as tablets and smart phones. Energy companies often amass large unstructured data sets and hundreds of thousands of documents related to oil & gas wells, also known as well files. Archeio’s new well file software-as-a-service (SaaS) offering applies intelligent algorithms to classify and structure this data. Additionally, the solution features map visualization and data analytics to display data in a variety of ways. The cloud-based software not only improves well information management and lowers information technology costs it also serves as a centralized hub for energy companies to securely share well information with partners, investors, and contractors. The software has already been used to expedite oil & gas property acquisitions and divestitures. With A&D activity on the rise Archeio is proving to be well positioned to help the industry streamline the data transition process when assets are bought and sold. Archeio was founded in 2015 by Rex Womble and Chetan Chouhan, who recognized the critical need for a new generation of well file software in the petroleum industry. Womble, who serves as CEO, is a Dallas native with a track record of success working at software companies like Telligent (acquired by Verint). As CTO, Chouhan brings more than 20 years of technology experience to Archeio, which includes numerous product development successes for Fortune 500 companies. The company raised approximately $1 million of startup capital through seed funding and venture backing. Archeio employs seven full time staff and continues to expand its product development, sales, and support teams as its customer base grows. An early adopter, Parsley Energy uses Archeio’s new generation of well file software to manage its growing asset information challenge. As fast as the company is growing, Parsley Energy needs a well information management solution that can keep pace with rapid change, make it easier to find well data, and empower the company’s staff with the knowledge they need to make timely and confident decisions. A case study is available detailing the use of Archeio’s software at Parsley Energy. Visit www.Archeio.com/PE to download the report, Parsley Energy: Well Information Delivered at the Speed of Business. Archeio Technologies is a provider of intelligent software and services to the upstream oil and gas industry. The company helps organizations manage the large volume of information generated throughout the well lifecycle, including engineering, geology, land, regulatory, and production data. 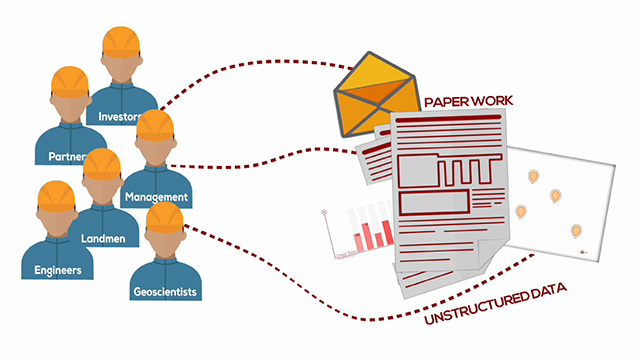 Archeio’s unique approach uses innovative cloud computing, machine learning, and intelligent search technology to give energy professionals access to reliable well information on their desktop or mobile device. Companies benefit from improved operational efficiency and reduced IT overhead. The Dallas-based startup has already attracted a portfolio of clients, from large, publically traded companies to independent operators, and currently manages information for thousands of wells across North America. Dallas software startup Archeio Technologies launches product to improve well data management. Archeio raised almost $1 million in funding and has inked contracts with leading energy companies.